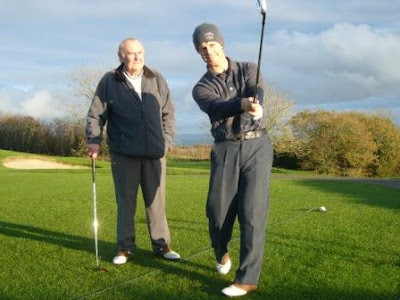 Thanks to new Assistant Golf Coach Phil Rowe, an Englishman from Cornwall, for taking the time to provide us with a wide ranging view into his wonderful background that has combined an All-American career at Stanford with 8 years as a professional golfer on various world tours. Thanks also for his great photos. 1. Congratulations on being named the new Assistant Men's Golf Coach! Could you tell us how you heard about the opening and came to decide to pursue and then take the job? Thank you Bob and thanks to all who have sent me kind “Welcome return to The Farm” messages. I must say that it all came about as a bit of a surprise that has not properly sunk in just yet. The support is much appreciated and I am filled with great excitement for what lies ahead. How did I hear? Well... I always wished to maintain my connection with Stanford team news and progress. 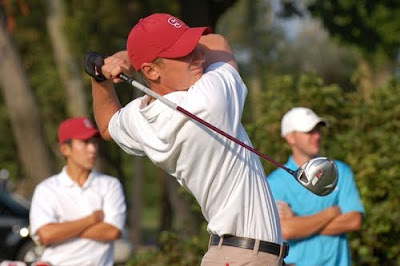 The various blogs found here on the www.stanfordmensgolf.org website have been an invaluable resource. Even so, it was not until I exchanged a few emails of encouragement with Coach Ray through the highs and lows at Chattanooga that I became aware of the Assistant Coach opening. Things moved swiftly thereafter. Various professional and personal project contemplations in the preceding months meant that I was able to make a decision and mobilize my candidature documents rapidly. Now I find myself honoured to be working alongside Coach Ray and some of America’s finest golfing talent. 2. It must have been a difficult decision for you and your family since it's a dramatic career change as well as a major shift from Europe to Palo Alto. Could you tell us about how you weighed the pros and cons of taking the job? Yes, it was a difficult decision in certain respects. Of course, there’s no easy secret to weighing pros and cons in any big decision, not least when one is potentially turning ones’ back on a lifelong ambition to win major golf championships! * However, as I alluded to when speaking of my swift decision, the transition process was already underway in my case. A word of advice I picked up from George Roberts before deciding to turn pro was once again helpful: “how you get there will vary... but it is important to set out a blueprint of where you want to go”. Some significant roadblocks had therefore been negotiated when I acknowledged that my overriding desire is to put maximum contribution back into golf and that proximity to my family would become a priority in the years to come. 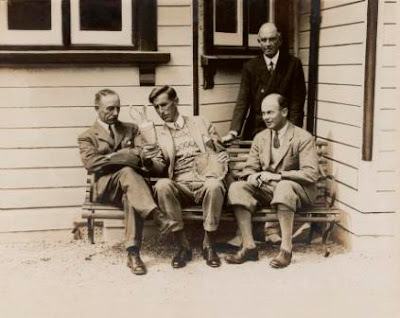 So at the point when the job opening came along, I had already embarked on a mission to generate those conditions without depending on victory in the British Open. 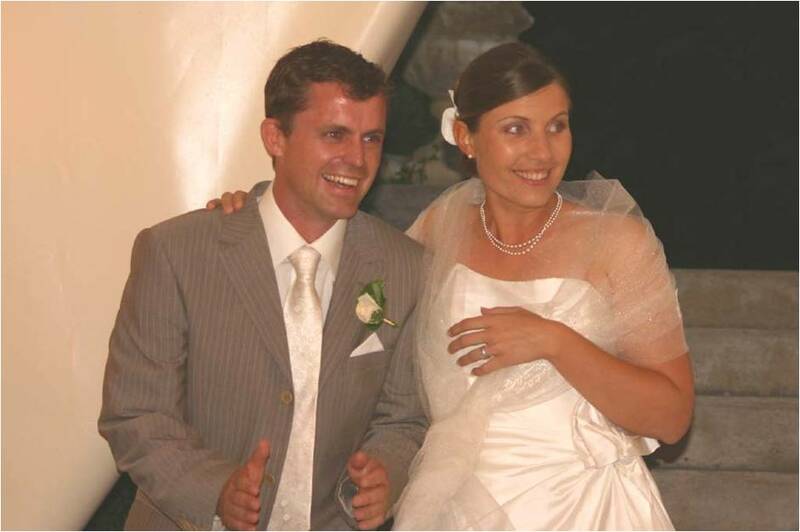 Curiously, whilst we were on vacation in California earlier in 2010 and had a chance to check out new golf and campus developments, it was actually my wife who mused how being a university golf coach might be an “interesting” job prospect for me to consider one day! With that in backdrop you can imagine how I was actually pretty well tuned in to “catch the ball” as it were. In terms of a “major shift”... my accent is funny wherever I go and my wife had called the movers plus selected extravagant condos for us to live in before I even had a final interview! 3. 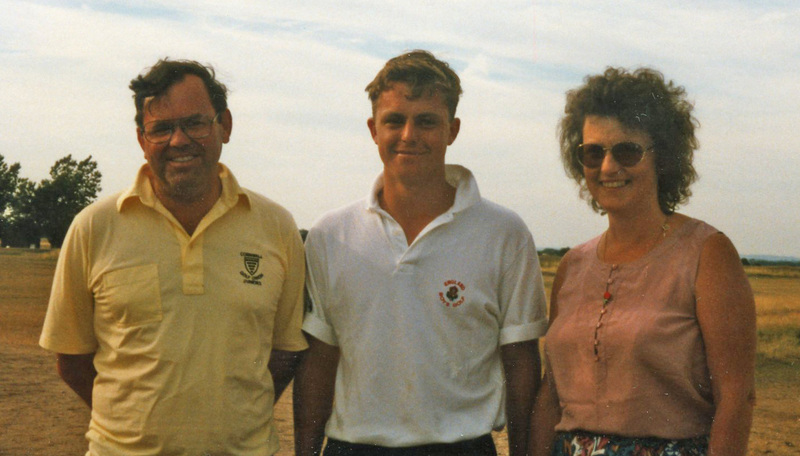 Tell us a few things about growing up in England and how your junior golf career developed. He was the inaugural winner of the USPGA Championship in 1916, won it again when the tournament was held for the second time in 1919 and he won the U.S. Open Championship in 1921. Success at club, county, southwest region and then eventually national level meant that I graduated through the amateur ranks to represent England Boys in the World Junior Team Championships in Japan as well as all around Europe. So far as school went... Generally speaking, I was inspired to work hard and maintain solid grades because I knew that getting the job done well and promptly would leave me the maximum time to spend on the golf course! Two days later... I arrived at Stanford! 4a. How did you come to choose Stanford since you were coming from Britain? Confession... It was never a goal or a particular dream of mine that I would one day attend Stanford, university in the States or university anywhere for that matter. Such an unthinkable scenario to me now, even this confession seems outrageous! Nonetheless, one has to put it in the context of growing up in the UK (and Europe similarly) where for most young players the choice is either sport or academics. 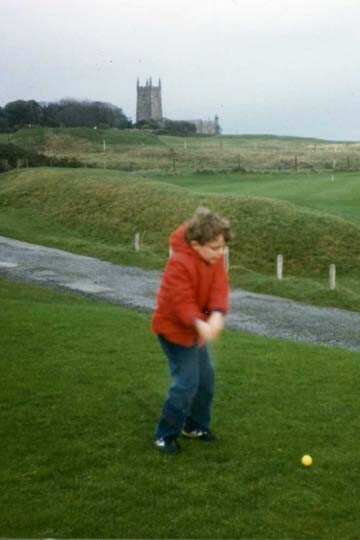 Foremost, I wanted to be a touring pro golfer! Several circumstances delayed my decision to turn pro. First, I had parents who somehow cajoled me into taking “A-level” exams (that meant sacrificing entry in several big national amateur events). Second, I watched a close England International teammate’s pro dream initially turn sour when 17 year old Justin Rose followed up his stunning British Open 4th place finish with a run of 21 European Tour missed cuts. 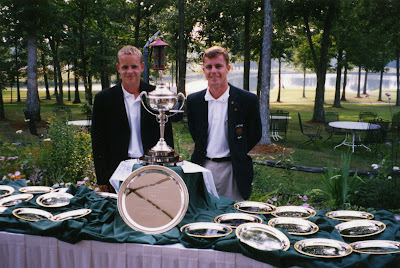 Third, there were other examples of teammates who seemed to be making a good go of US college golf and in whose footsteps I could follow (notably Paul Casey, Graeme McDowell and Luke Donald). Thanks to the precedent set by these players, it gradually dawned on me that to become a “Student Athlete” in America would only enhance my eventual golf career. Pertaining to my recruitment for Stanford... when players like Casey, McDowell and Donald set off from the British shores to play US college golf, their talent quantities and potentials were somewhat unknown. On arrival they just lit it up. 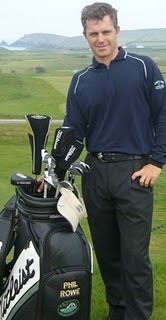 For example, earlier in 1999 Paul Casey had shot a final round of 60 en route to winning his second of three consecutive PAC-10 individual titles. 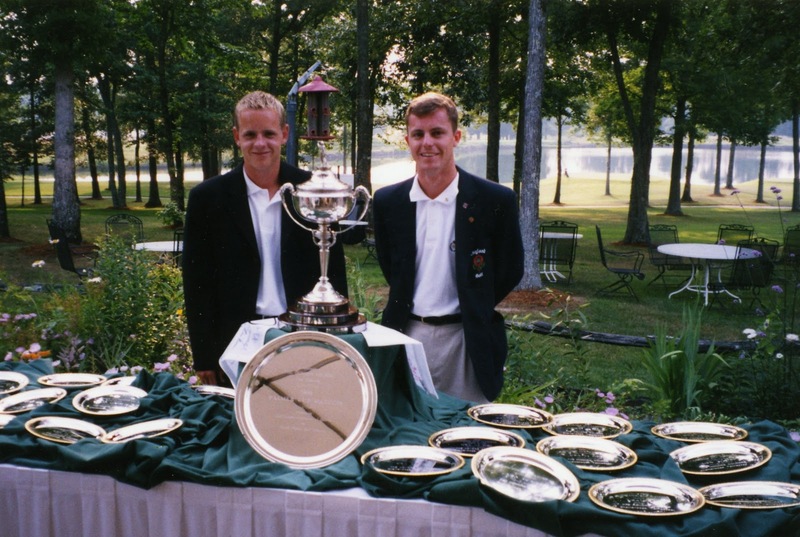 So... fortunately I had a full one hundred SAT points more than “Wildcat” Luke Donald; who coincidentally, I was partnering in the summer of 1999 Palmer Cup matches at the Honors Course, Chattanooga (see picture below) when I met Coach Goodwin for the first time. 4b. You mean that College Sport does not exist in Europe? Not in the same way... In golf’s case at least, plain facts still emphasize the United States as the only viable option for combining high levels of academic ability with sporting achievement. Gonzalo Fernández-Castaño of Spain is perhaps the only example of a European university graduate successfully competing on world golf tours. All the same, Europe is now on course for linking up its excellent and longstanding golf coaching structures with education systems. When it finally does, high level performers in golf will have some great opportunities for education, language and cultural exchange open up through their sport! 5a. You were an outstanding golfer at Stanford, graduating as an All-American in 2002. Was there a particular highlight that you remember from your playing days at Stanford? 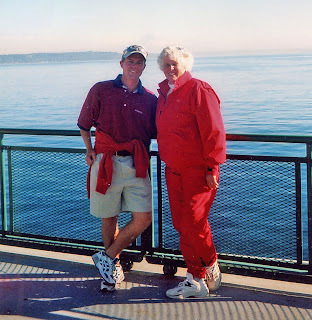 So many little ones... Hawaii trips staying at Mauna Kea with Sukey and Irv Grousbeck, “double Don Chu” plyometric workouts from 6am with Pat Phillips and Kevin Blue, the famous Nan Goodwin red track suit (pic)... I have many great memories of life on the golf team! 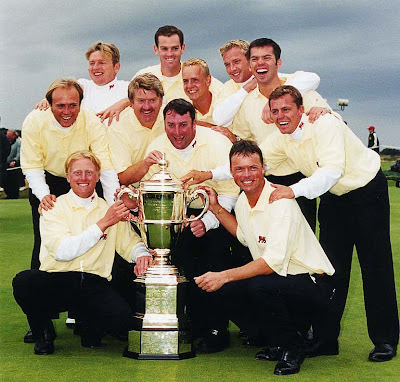 And a few big ones in terms of golfing performances too... the US Intercollegiate victory at Stanford in 2002 (my senior year) has to stand out as the highlight. Personal preparations to make a memorable showing at my final home event started weeks before when I spent many hours each day specifically practicing to produce every single shot I could count on facing over the familiar course. With a first round 64, the quest started out well and I held on for victory. PAC10s followed that event and the form continued with a tied second place alongside Kevin Stadler (we were denied a 3 way playoff only because Jim Seki ’03 holed a bombshell chip shot on his 18th hole). We failed to qualify for Nationals that year despite our late charge, and admittedly it still hurts not to see our names inscribed in Stanford Championship Tradition. However, referring back to my recent appointment to rejoin the team as Assistant coach, the story is not complete because since then Coach Ray has built the Cardinal Golf wagon up to such momentum that it is sure to threaten for a win in every competition... Championships included! 5b. What else stands out from those years? 1 – Football. One of the first people I met was my roommate in the Freshman/Sophomore College. At 6’5” and 300 lbs, he was perhaps the biggest person I had ever shaken hands with... until I met some of his 2am pizza eating machine friends that is! Initial impressions did not reveal all though because I soon learned how he played two instruments in a music band plus he liked to write poetry, novels, political debate articles for the Stanford Daily as well as his own computer programs! 2 – Track. In my junior year I made a couple of friends on the track team when they attended Spanish classes with me in the late mornings three days per week. It became a ritual to eat lunch together on those days and on the way to the dining hall we would flaunt bike and pedestrian safety by playing disc golf across campus. Nothing extraordinary or clever, just silly... that was until the day we had to make a disc golf hole pass by Meyer Library because one of the runners needed to login and check on data relays from his satellite whilst it was in communication range! The other runner did stand-up comedy shows in the CoHo... that was clever and silly at the same time! 6. Have you kept in touch with some of your former teammates at Stanford? Yes, several. The “prowegolf updates” that I write have been helpful to keep in touch with people in general. However, I had to expel one or two of the guys off the mailing list because of the mocking abuse I received back from them! They still find ways to do that via Facebook! This recent Assistant Coach announcement also provides an occasion to reconnect. My wedding... aware that it’s not exactly across the street I sent out early wedding invitations just in case maybe they could make it coincide with a European vacation. I was delighted and touched when three of them came across to attend the celebrations in France (L-R: Jim Seki ’03, Phil Rowe ’02, Eric Johnson ’03 and DJ Powers -Assistant Coach ‘00-’03). 7. We understand you turned pro soon after graduating from Stanford. 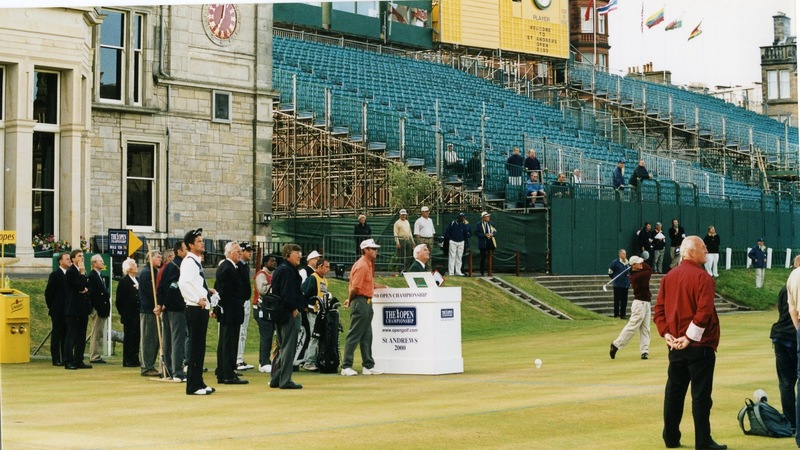 What were your plans at that point and how did those early professional golf years unfold? In the year of my graduation, 2002 (still an amateur at that point), I remember feeling a little torn between the States and Europe, Amateur and Pro. Not clearly making up my mind was an error. For example, I passed through European Tour Qualifying Stage 1 easily enough and then flew over to La Purisima near Santa Barbara to play the US PGA Tour Qualifying Stage 1. By that point my head was filled with permutations of not only what would happen should I earn tour card privileges in one, the other or both; but also whether I would perhaps wait for one more Walker Cup should I end up with nothing. Well I did... end up with nothing! Midway through the following year I made the positive decision to turn pro in Europe. Form picked up as a result of making those choices. Thanks to some sponsorship support, I was able to play a full schedule of mini-tour events around the British Isles as well as a few ‘last minute’ invites to Challenge Tour events around Europe. 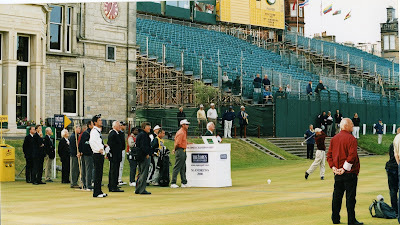 Then at the end of 2003 I received a couple of invitations to play events on a circuit called the Alps Tour. My performances and experiences in those events combined with my motivation to learn a second language (Spanish 1 did not do the trick!) helped me to preference and fix objectives for playing on the satellite tours in Europe rather than the UK. I made a base in France. All along, the plan was to arrive at a point where I could pick and choose between tournaments on both sides of the Atlantic (rather like several of my contemporaries are now able to do: Donald, Casey, McDowell, Wilson, Rose). However, my rate of progress in all departments of my game, scoring average and all important money earnings; could be described as gradual (see Table 1 below) at best. Taking a step back to look at things anew at several points along the way, I took reassurance in another piece of George Roberts counselling: “There are no guarantees... but if you work at it hard enough and stick at it long enough then you will make it”. On every occasion, tenacity paid off over the course of a long season (see Table 2 below) yet at the same time, even a few well timed low rounds did not manage to make me inroads to compete with players at the pinnacle of the PGA or European tours (see Table 3 below). 8. What were some of the highlights of your professional golf career and what was the life like for you and your family? Between 2005 and 2009 I never left the top 10 on the end of season Order of Merit standings on those tours (whether it was Europro, Alps or Allianz Golf Tours on which my schedule was focused). In terms of wins, 2006 was my best year: I won the Open de Pays Basque, Towergate Insurance Championship and the Open de la Réunion. The latter is played on a French island in the Indian Ocean and I won the event for a second time in December 2009. 9. What was the best and the worst thing about playing professionally all over the world these past 8 years? Best: playing pro-ams, meeting and trying to communicate with fascinating people in many different countries (they thought my job was interesting too!). Worst: I think that I have travelled a fair bit yet there are still many gaps, places where I have not managed to play yet... notably South Africa, New Zealand, Russia, South America and Canada! 10. Are you married? Tell us about your family (if you could send a couple of photos that would be great). Claire is trained in Law. Immediately prior to moving over to the States she was the only legal expert in a small semi-public company that managed a portfolio of development projects for a departmental authority in Aquitaine, France. My Parents (pictured earlier) still live in the same house near St.Ives in Cornwall since before I was born. 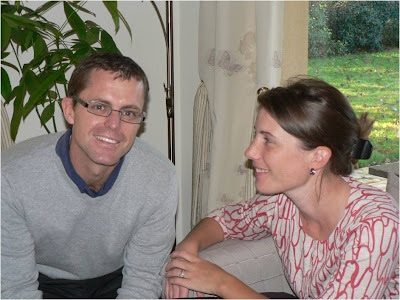 Father Jonathan is a retired Chartered Accountant and Mother Jenny worked in the hotel industry for many years. 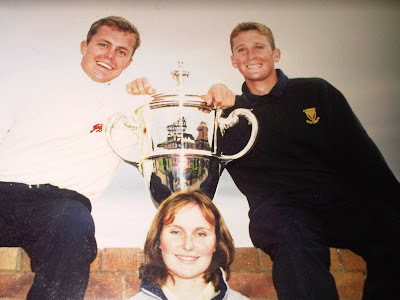 Pictured below are my good friend Jonathan Coleman [who caddied for me in the Walker Cup ‘99 (trophy in picture) and the British Open ’00 (teeing off in picture below too)] and my sister Margaret who lives between Oxford and London in the UK with her husband and young daughter. 11. What are you looking forward to in working with Stanford's highly successful golf program? Do you know any of the players? There are many aspects of the Assistant Coach role that I am really looking forward to and coaching with the players is one big part of the whole picture. September 10, the day when I get to meet the whole team together for the first time, will be a huge day for me. Observation, listening and getting to know each player will be on my immediate agenda. 12. Is there anything else you'd like to share with the Stanford golf community? 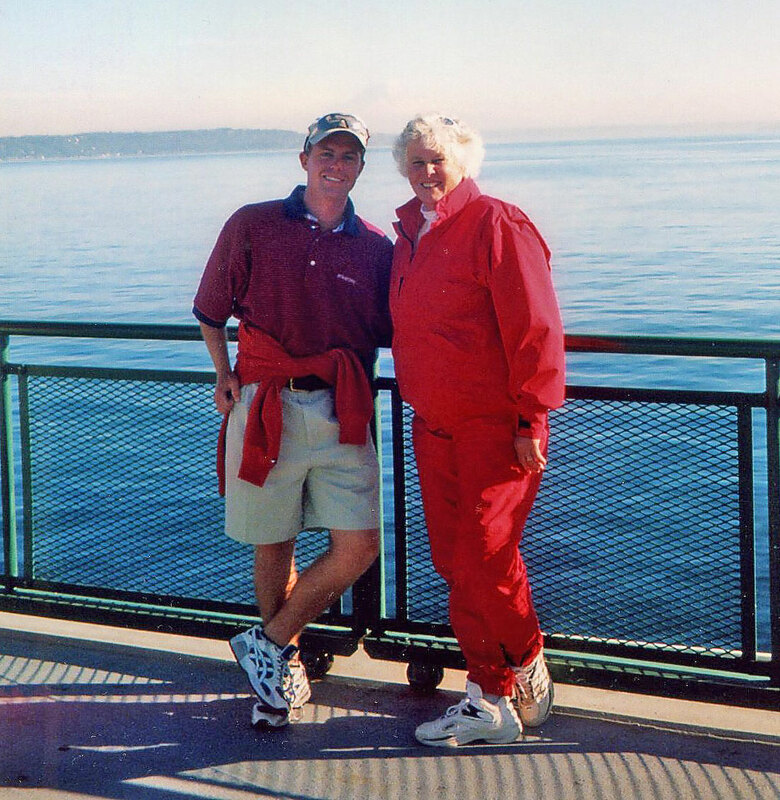 It goes without saying that long before the current Stanford men’s team and its coaches arrived on the scene, alumni, supporters, course staff and members were generous and unwavering in their allegiance to the golf programs. Clearly, Coach Ray and the entire team appreciate this great support, and from it they have certainly enjoyed performance benefits in many subtle but significant ways. Perhaps the players end up feeling like they have “home” advantage wherever they go (written just before Butler beat Michigan State 52-50 in NCAA Basketball this year, here is an interesting article about this phenomenon)! And speaking of home... there’s two in a row coming up: just eight months from now in 2011, The Stanford Course will host Pac-10s right before the team sets out on its Championship quest that surely ends in showdown at Oklahoma State, a college golf powerhouse that has just a slender 10-8 Championship count advantage. The following year, NCAA Regionals will be hosted at... Stanford. Whilst all this tremendous support is going on, it is also important that the traffic is not one way. Hopefully, greater and greater value will be thrown into the ring and will be attracting interest via the content of this website and various Team Blogs. If it doesn’t or if there are developments that can be made, I know the message from Coach Ray would be “Let’s hear about it and get it done!” Another aspect might be the incredible network that Stanford Golf has across the nation and around the world. Much of this is made up from the golf community rather than the golf team itself of course, but, with a South-African arrival last season and a “Cornishman” re-installed this year... Stanford blazes a trail to all geographical corners! Phil, thanks for sharing your unique background with us. The Stanford golf community is excited to have you return to the Farm to continue your career in golf. Pleasure ...and congratulations on all that you have achieved with this website Bob! STANFORD, Calif. - Steve Ziegler earned first team All-Pac-10 Conference honors last season as a sophomore after leading the team in stroke average (72.58) in 12 events on the year. He captured his first individual title as a collegian at the USC/Ashworth Invitational, where he carded six rounds in the 60's en route to the title. A native of Broomfield, Colo., Ziegler won both the Colorado Association Stroke Play and Match Play titles last summer, becoming just the ninth player to win both events in the same year and the first player to accomplish the feat since Brandt Jobe in 1985. He carded rounds of 69, 70, 67 and 67 to claim the Stroke Play title at the Lakewood Country Club and defeated Tom Gempel one-up in the 36-hole final of the CGA Match Play championships at the Bear Creek Golf Club in Denver after being two down with three holes to play. One of 25 players listed on the watch list for the prestigious Ben Hogan Award, Ziegler has carded a 73.0 stroke average in his eight events this season for the second-ranked Cardinal, with his top finish coming at the Fighting Illini Invitational, where he tied for sixth. "Steve is one of the most tenacious players on the team," said Knowles Director of Golf and head coach Conrad Ray. 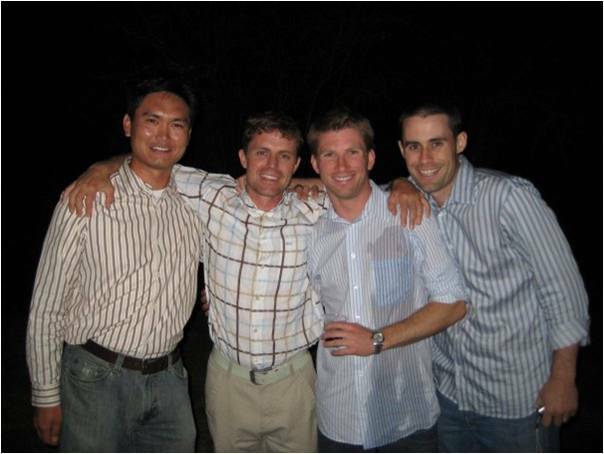 "Steve, along with Joseph Bramlett and Sihwan Kim, provide valuable leadership at the top of our line up. His scores this year haven't necessarily reflected how well he has been playing and hitting the ball. He's a hardworking kid who won't take no for an answer." GoStanford.com recently caught up with Steve for this installment of "Right Down the Middle," which profiles members of Stanford's men's golf team. 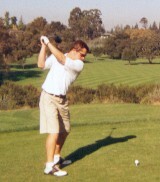 Home course: The Ranch Country Club; Stanford Golf Course. Favorite course you have played: Friar's Head. Course you would most like to play: Augusta National. One swing thought you are always trying to remember: Making a full shoulder turn. Favorite major championship to watch: The Masters. Earliest memories of playing golf: Hitting balls with my dad and brother on practice range. What's your most memorable round: The final round, specifically final nine at USC's invitational last year. What's your most memorable shot: Hitting it close on 18 the final day of last year's USC Collegiate.